Note: This update contains some disturbing content. Daylight strives to maintain the highest integrity in the stories we share. And we try to portray students and staff in the best possible light. 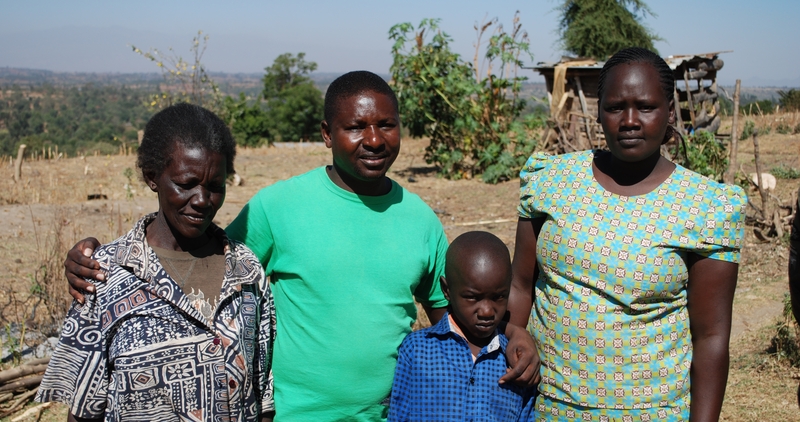 The story of Moses and Dan is difficult to hear but Moses’ father Daylight Staff Dan Chumba wanted to share his son Moses’ story as a way of saying thank you for supporting Moses’ education. And we feel that it is a great testament to the passion and commitment of Dan for the children in his community. Six years ago a baby boy was born in a hut near Daylight. The mother was mentally unwell and the night after giving birth she took the baby outside and dropped him into the family’s outdoor toilet pit. Then she took off and was never seen again. The next day at noon, someone walking past the pit heard the baby crying. They called their neighbor Dan to climb down and get the baby out of the pit. Dan then took this baby to a local hospital where the baby spent the next two months recovering from infections. They named the baby Moses, a fitting name for a lost baby that was saved. When Moses was released from the hospital he went to stay with his Grandmother, but she was unable to feed and care for him. So Dan and Cecilia stepped in and adopted Moses and brought him to school at Daylight. Moses is a beloved Daylight student and he is growing up and getting a passion for serving in his community, just like his father Dan. We are so proud of Dan for his selfless actions towards Moses and we know that Moses will continue Dan’s legacy heroic service to his neighbors. Dan, Cecilia, Moses, his grandmother thank you for supporting Daylight. Grace LOVES Daylight. This is because Grace came to Daylight much older than many of the other students, she is a teenager and is only in third grade. She grew up walking miles each day to fetch water for her family who were living in Michael Kimpur’s home village a days drive into the desert. When her parents died, she was sent to live with her uncle who was arranging a marriage for her. But plans for her marriage were interrupted when she got a serious ear infection. Daylight Board member Lauren and Michael Kimpur met her on a trip to the desert and brought Grace to Daylight to get better. 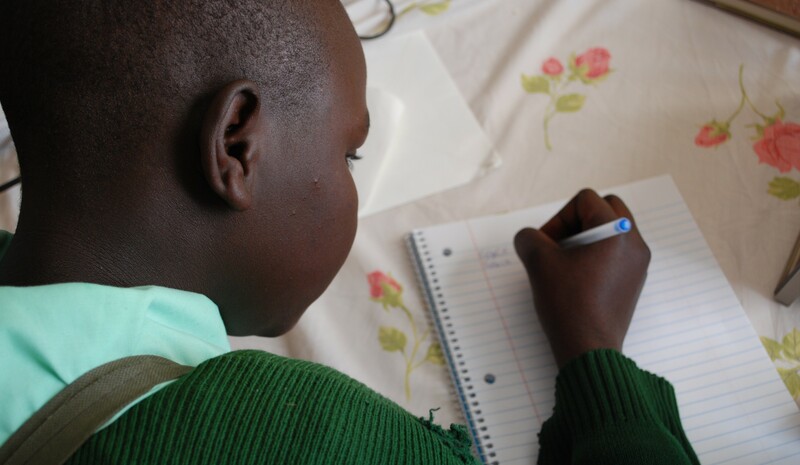 But while she was recovering Grace fell in love with education. Now instead being a second or third wife for a village man she spends her days studying Math and English. 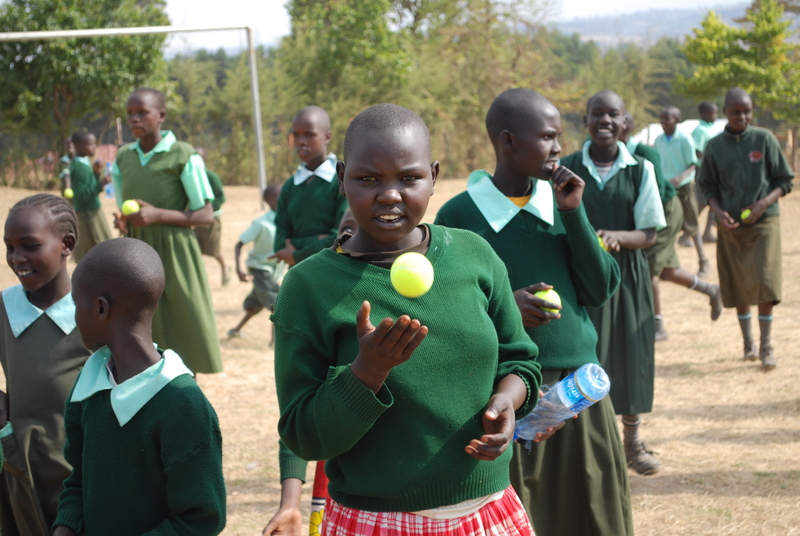 Playing soccer goalie with the boys – a fact that she is very proud of as girls and boys often play separate games. She wants to be a Swahili teacher, which is no small feat because she learned Swahili in school. She is the only Daylight student that lives at the Kimpur house year round. This is because Angelina Kimpur think of her as a daughter. “We trust her in our house. She greets our guests so kindly and she loves to help the children when they are sick.” Daylight and the Kimpur’s have truly become Grace’s new family. 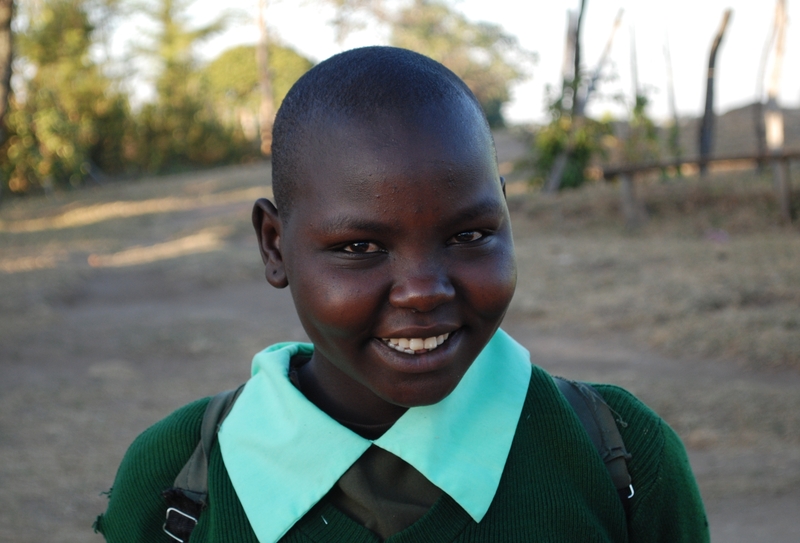 Your gifts help to grow young leaders like Grace. Please support Daylight and make a monthly donation to help sustain this important work. Please note that PayPal charges 2.2% and a flat fee of 30 cents from each donation, for funding from either your credit card or your bank account. Many banks offer an online “Bill Pay” option. Depending on the bank and your account type, this service is free for both you and Daylight. Sign into your online bank account or contact your bank for more information. Then email Elodie at info@daylightcenter.org to let us know you are pledging! Daylight is grateful for all the people that help to make this community happen with their dollars, prayers and time. THANK YOU! All donations are tax deductible and receipted at the end of the calendar/fiscal year, unless otherwise noted. 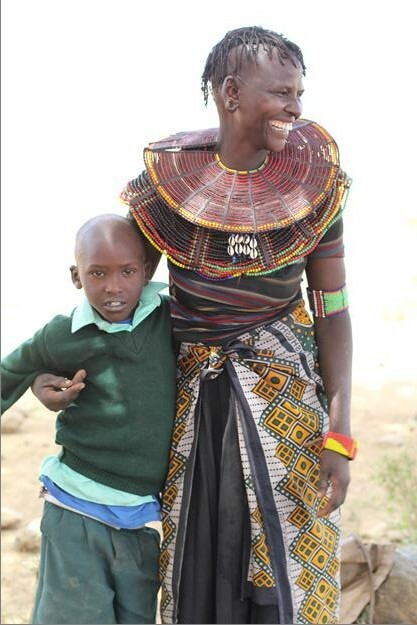 I met Michael and was so inspired by his story that I flew to Kenya to stay with his family for 5 weeks. During part of this trip, we traveled out into the lowlands, an area of Kenya where poverty is high and education is non-existent. This is where Michael is from. We spent a lot of time with children there, including one girl who will always be on my mind- Grace. Grace’s parents had already passed away and when we found her, she was going deaf from a severe ear infection. We brought her to school and to get medical treatment. She has currently been a Daylight student for 3 years and the other children look up to her as a “big sister”. I give to Daylight because of Grace, and because of all the children there that have a similar story. After 3 years at Daylight Grace has become a model Student. She goes out of her way to help students when they are sick and makes sure to spend extra time with all the new incoming students. Because she knows the anxiety, relief, and excitement that comes with moving from village life to Daylight. 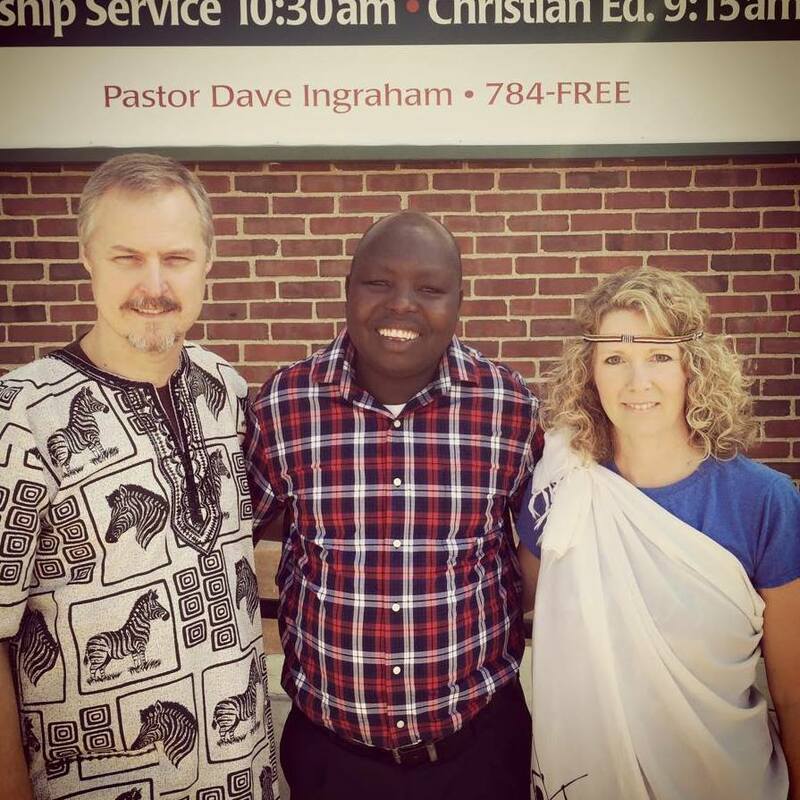 Your gifts help to grow young leaders in Kenya. Join Lauren in pledging to support Daylight and make a monthly donation to help sustain this important work. Our goal is 15 pledges in the next 10 days! We already have 5 pledges and we need 10 more! Your gifts help to grow young leaders in Kenya. Join Merv and Lisa in pledging to support Daylight and make a monthly donation to help sustain this important work. Our hearts are filled with happiness and grief as we reflect upon the events of this past week. 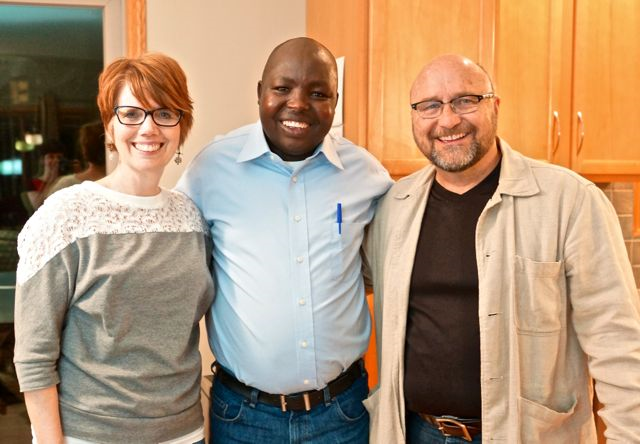 Michael Kimpur, Daylight Center and School Director, left Minnesota to fly back to Kenya this Monday. During his visit, Michael traveled to practically every corner of Minnesota sharing the story of Daylight with new and old friends. Michael expressed on Sunday that he enjoyed every minute of it… whether it was learning about Minnesota politics in Slayton, hitching a ride on a semi truck in Halstead, reconnecting with past missions trip friends in Rochester and Stillwater, or attending his first ever book signing event in Minneapolis! The trip was a huge success! However, a stark reminder confronted Michael when he returned to Kenya. When his plane landed he was told that a raid had taken place in a village where many Daylight students come from. 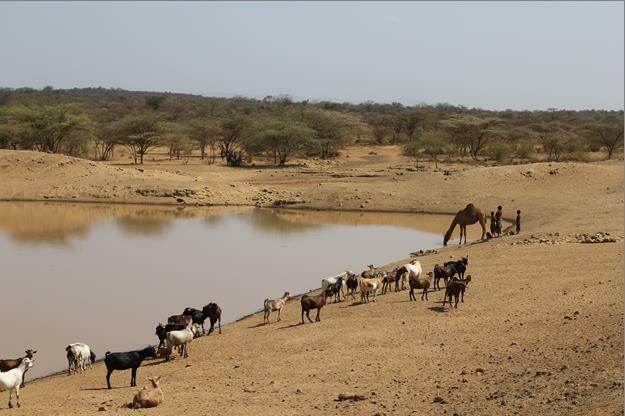 Kenyan intelligence estimates that over 112 men, women, and children have been murdered this week as cattle rustling and tribalism erupted in Baringo county between the Turkana and Pokot tribes and 700 people have fled their homes in search of refuge. Baringo county is more than a five hour drive from Daylight’s school campus through the mountains and down into the desert. Daylight Center and School is located in the highlands of West Pokot county which is separated from the inter-tribal violence driven by cattle rustling in the lowland, nomadic regions. It was a raid like this one that seperated Michael Kimpur from his parents 30 years ago and today, villagers deep in the desert are still raiding each other, stealing cows, and often killing their owners. Children orphaned by these raids is why Daylight was created. 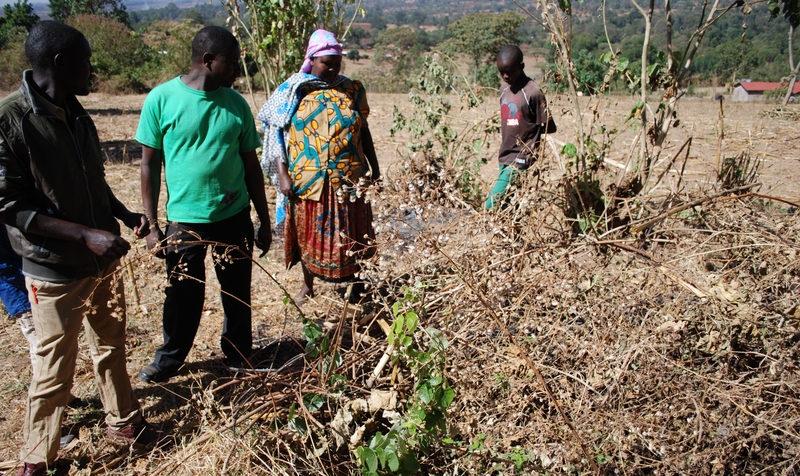 However, Michael works closely with elders in Baringo county to recruit students from the numerous villages in this area and a good number of the children who attend Daylight are from the region. Sadly, Daylight Kenya expects an increase in requests for room and board for children who have become orphaned as a result of this violence. 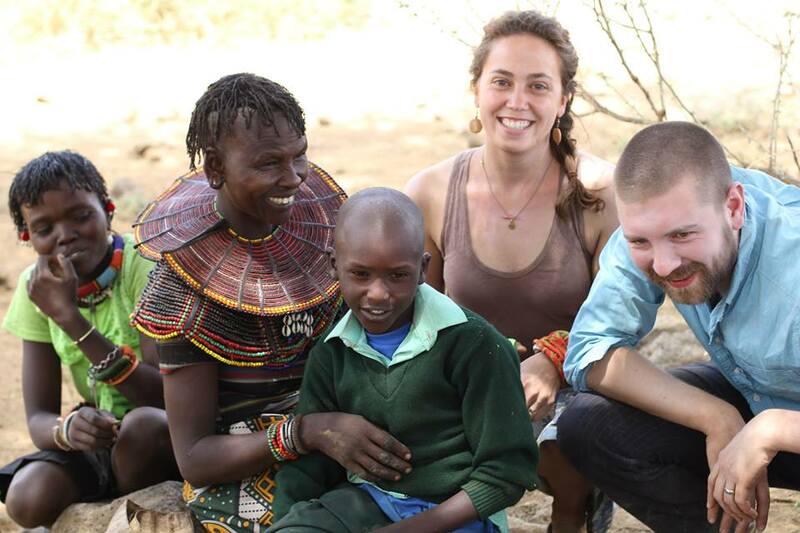 Three months ago, I had the opportunity to visit Baringo county with Michael and several friends. The harsh east Pokot sun beat down on us while a variety of goat, sheep, cattle, and camel sounds drifted over the barren landscape. We arrived at a watering hole early in the morning, hoping to connect with the mother of Pembe, one of Daylight Center and School’s third grade students. 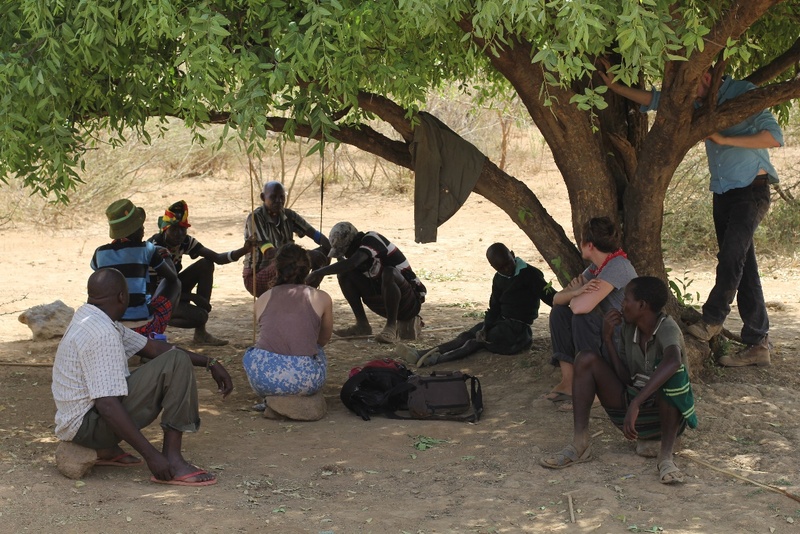 As we sat waiting under the shade of a nearby tree, a crowd began gathering around andwe were able to spend significant time with some of the young east Pokot men and women. We exchanged stories, practiced our Pokot, played Frisbee, and laughed a lot. After four hours, Pembe’s mother arrived surprised that her youngest son had arrived to visit. She was ecstatic as she had not seen her son for over a year. Pembe spent three hours with his mother under the hot desert sun until it was time to say their goodbyes. Michael shared with us today that Pembe’s mother’s village was one of the communities that was attacked by Turkana raiders this week. Unfortunately, the information being reported at this time is incomplete and scattered. We will keep you posted as more details become available. Please keep those impacted by this violence in your prayers throughout this month. Please pray specifically for Michael as he works to advocate for peace in these communities. Also, continue to pray that the leaders and elders of the Pokot and Turkana communities would advocate for a strong and enduring peace between the communities.